Eyad H. Abed received the S.B. degree from the Massachusetts Institute of Technology in 1979, and the M.S. and Ph.D.degrees in 1981 and 1982, respectively, from the University of California at Berkeley, all in Electrical Engineering. He has been with the Department of Electrical and Computer Engineering at the University of Maryland since 1983, where he has served as Professor. He also previously served as Director of the Institute for Systems Research. Dr. Abed is a recipient of the Presidential Young Investigator Award from the National Science Foundation, the O. Hugo Schuck Best Paper award from the American Automatic Control Council, a Senior Fulbright Scholar Award from the Council for the International Exchange of Scholars, the Outstanding Systems Engineering Faculty Award of the Institute for Systems Research, the Alan Berman Research Publication Award from the Naval Research Laboratory, and two teaching awards from the University of Maryland. He is also a Fellow of the IEEE. He serves on the Advisory Editorial Board of Nonlinear Dynamics. 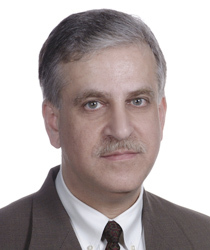 Dr. Abed's research includes contributions on the following subjects: control of nonlinear systems exhibiting bifurcation and chaos; singular perturbation analysis and reduced-order modeling; nonlinear stability and stabilization; linear robust stability; gas turbine jet engine dynamics and control; electric power system dynamics and control; tethered satellite control; aircraft control; and radar system dynamics. UMD professor discusses information dynamics in social networks.